1. 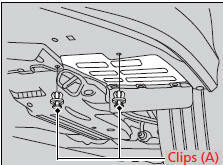 Remove the holding clips (A). 2. 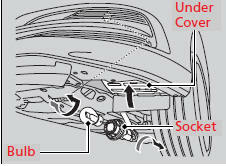 Push up the under cover. 3. 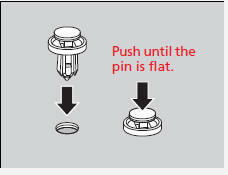 Turn the socket to the left and remove it. 4. 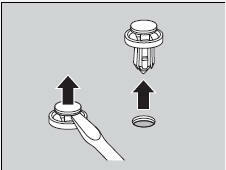 Push in the old bulb, rotate to the left until it unlocks, and remove.